Snow whirls around an elevated train platform in Chicago. A distracted woman boards the train, takes her seat, and moments later, a fiery explosion rips through the frigid air, tearing the car apart in a horrific attack on the city’s transit system. One life is spared. Twenty-two are lost. A year later, Autumn Manning can’t remember the day of the bombing, and she is tormented by grief - by guilt. Twelve months of the question constantly echoing. Why? Why? Why? Searching for answers, she haunts the lives of the victims, unable to rest. If only her tenuous future didn’t rest in the hands of Davis Knight, her mysterious new photographer. 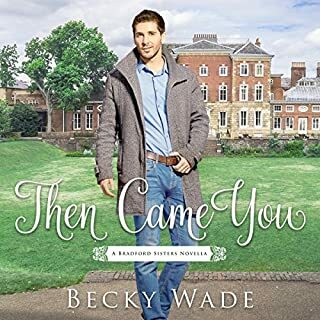 Not only did he walk away from the kind of success Ivy longs for to work maintenance at a local church, he treats her differently than any man ever has. Somehow, Davis sees through the façade she works so hard to maintain. He, along with a cast of other characters, challenges everything Ivy has come to believe about beauty and worth. Is it possible that God sees her - a woman stained and broken by the world - yet wants her still? 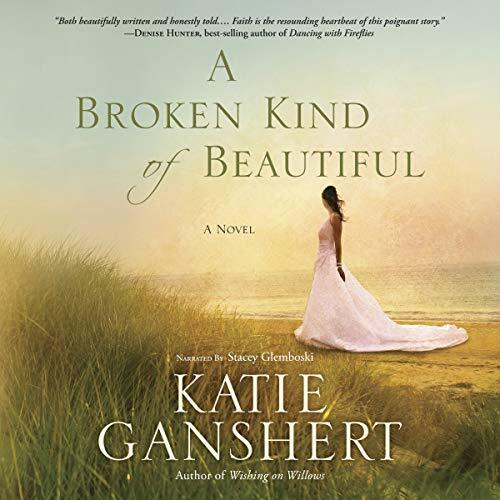 I read the print version A Broken Kind of Beautiful back in 2014, and "re-reading" a favorite read via an audio book is one of my favorite things to do. 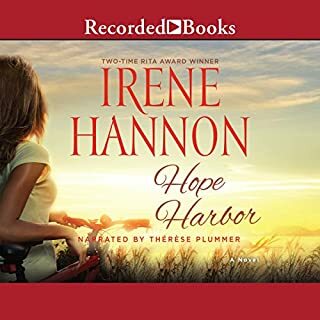 The audio version of this gem of a novel did not disappoint. 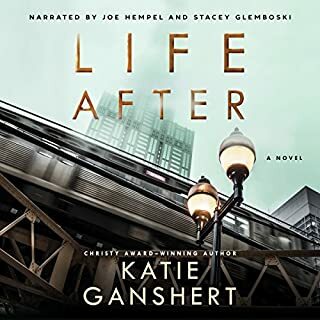 I'm picky about my narrators, but Stacey Glemboski does an excellent job. Her accents for each character are almost always spot on. I think it can be hard to get a southern accent just right (I've heard some atrocious ones), but Glemboski sounds authentic. She also does a great job with the male character voices as well, especially book-boyfriend-worthy Davis Knight. Her inflection and tones for all of the characters just made me remember how much I loved this story, and truly sometimes it felt like I was hearing the story for the first time all over again. 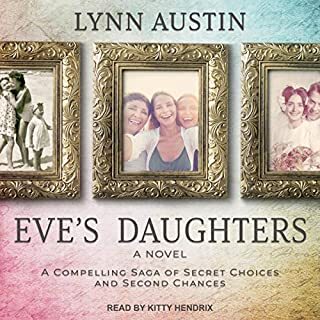 If you enjoy audio books, this one is well worth your time. If you've read A Broken Kind of Beautiful already and fancy experiencing this story in a fresh way, I highly recommend the audio book. The story is wonderful but where it all shines is in the characters. they're very realistic. Not all of them are likeable some are incredibly shallow individual people that we would all hate to meet in real life.. And yet the authors skill makes us sympathize with them. 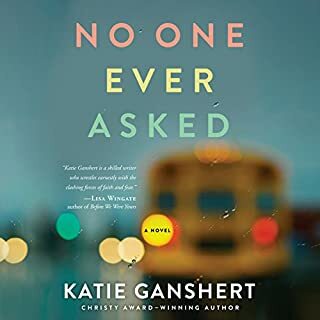 Author Katie Ganshert has again written a novel that shares a beautiful story in a way that triggers thoughts, feelings, and discoveries of our own journeys. Her characters are so relatable that they quickly and easily become a part of our own lives for a time. Their experiences become something of our own. Their discoveries touch us deeply as we are there in the moment and in the aftermath. Ivy, Marilyn, Sarah, and Davis each have their own brokenness. The means and repercussions of each form lives we can recognize and individuals we can love, so that the message of the novel is for us as much as for them. The revelations seem our own and last long after the novel itself concludes. The narrator did a lovely and effective job of releasing the story in a way that pulls the listener in and carries them through. I highly recommend book, author, and narrator. I did receive the audiobook from the author and I promised an honest review. The opinions expressed here are my own. My third book by Mrs Katie Ganshert. I listened to the audio and the narrator was great. This story touched me deeply. Davis, Ivy, Sarah and Marilyn will stay in my mind for a long while. All about brokenness and forgiveness of others and yourself. Most of the time we all have to be broken at some point for God to work his healing on our hearts. It’s not all deep because there are some playful moments to lighten the times. Ms Ganshert put words of feeling into this story and I believe it will touch your heart too. I highly recommend this book. I received this audiobook from the author but I was not required to write a review. All opinions are my own. This book was beautifully written and narrated. The characters are real and I can relate to each one on some level. I highly recommended this book! Ivy’s story will break your heart... and put it back together again. Katie’s books always have a stunning depth that make her character’s redemption stories so moving and unforgettable. I received a free copy of this audiobook. All opinions are my own. I had a hard time relating to the main character, Ivy, at first. At the beginning of the story she is selfish, vain, even dishonest at times. Yet by the end of the story I had real sympathy for her, and I thought the change in her character was well done. I was also pleasantly surprised at the attention given to her relationship with Marilyn. 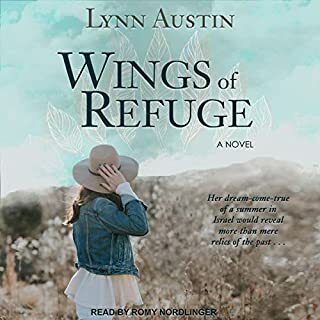 This was not just another secular romance novel dressed up with a few Christian ideas. Instead, there was real redemption. I received this book at my request and am leaving an honest and unbiased review in return.